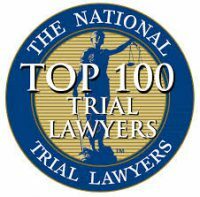 William J. Thomas II, Jay H. Ferguson and Philip A. Mullins IV have been named to membership in National Trial Lawyers, Top 100 Lawyers. The selective nomination process includes a peer-survey of existing Top 100 Lawyers searching for those potential members who meet the organization’s standards promoting excellence in the legal profession through advocacy training, networking and education of trial lawyers. Thomas, Ferguson & Mullins, L.L.P. 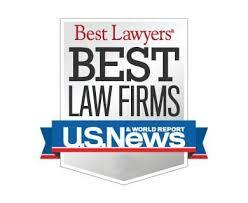 have been named a “Best Law Firm” by U.S. News Best Lawyers. 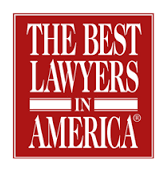 A comprehensive choice of practice areas, coupled with research of firms nationally and within local legal markets makes the “Best Law Firm” ranking a valuable tool for law firm clients. 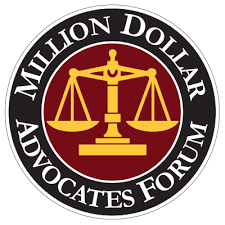 William J. Thomas II, Jay H. Ferguson, and Philip A. Mullins IV are members of the Million Dollar Advocates Forum. Membership in the organization does not guarantee results. The attorneys of Thomas, Ferguson and Mullins, LLP treat each individual case with the care and attention it deserves. Outcomes may vary. The Million Dollar Advocates Forum was established in 1993. It is one of the most prestigious groups of trial lawyers in the United States. Membership is limited to attorneys who have won million and multi-million dollar verdicts and settlements. There are over 4000 members throughout the country. Fewer than 1% of U.S. lawyers are members. William J. Thomas II, Jay H. Ferguson and Philip A. Mullins, IV have each received an AV® rating from Martindale-Hubbell, the highest level of professional excellence as ranked by their peers. A Martindale-Hubbell rating attests to a lawyer’s legal ability and professional ethics, and reflects the confidential opinions of members of the Bar and Judiciary. William J. Thomas II and Jay H. Ferguson have been named Super Lawyers by North Carolina Super Lawyer’s magazine. The selections for this esteemed list are made by the research team at Super Lawyers, which is a service of Thomson Reuters, Legal Division, based in Eagan, MN. Each year, the research team at Super Lawyers undertakes a rigorous multi-phase selection process that includes a statewide survey of lawyers, independent evaluation of candidates by the attorney-led research staff, a peer review of candidates by practice area and a good-standing and disciplinary check. Jay H. Ferguson was ranked among Business North Carolina magazine’s “Legal Elite” in 2005. Mr. Ferguson was selected by his peers as one of the state’s leading criminal defense attorneys through a survey mailed to more than 16,000 lawyers in North Carolina. Only 2.6 percent of the state’s attorneys were ranked among the “Legal Elite” in 2005.